Ali Akbar Hashemi Rafsanjani, one of the main pillars of the Islamic Republic of Iran, died on January 8, 2017, in Tehran. The Islamic government announced the cause of his death as heart attack, but some other sources have claimed he was killed by the agents within the clerical regime. According to one source, he was suffocated in a Sa’dabad complex swimming pool while the surveillance cameras of the pool area were switched off. One of his sons Mehdi who is temporarily out of prison shouted “they killed my father”, and his younger daughter’s (Faezeh) request for performing an autopsy was denied. Nearly two million Iranian spectators found an opportunity to come out to the streets of Tehran on January 10 for his state funeral ceremony. There were supporters of both wings of the clerical regime among the crowds. Some spectators were supporters of the Supreme Leader Ali Khamenei and some others were the followers of the Green Movement, an affluent pro-West faction led by Rafsanjani. In the past few years, there were conflicts between Rafsanjani and the Supreme Leader. 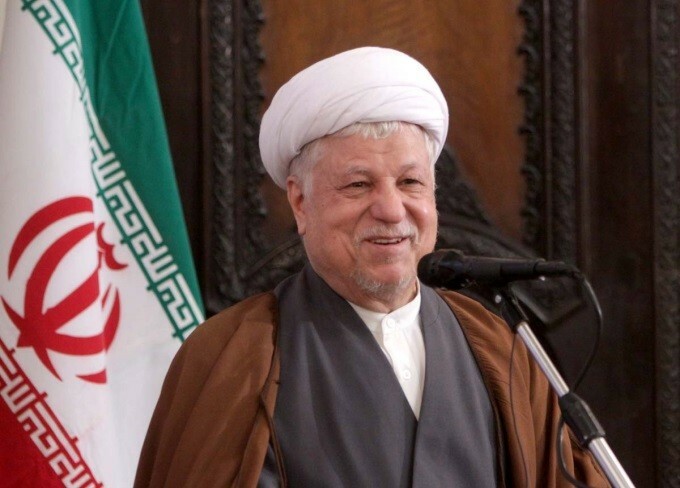 Rafsanjani held major positions within the Islamic government in Iran, which included the head of the parliament, two terms president, head of Assembly of Experts, and at the time of his death, the head of Expediency Council. In early years of the Islamic government, Rafsanjani was supported by Ayatollah Ruhollah Khomeini, the founder of the Islamic Republic. After Khomeini’s death in June 1989, Rafsanjani became the number 1 man of the regime, preventing any real democratization in Iran and silencing all the oppositions to the theocratic regime. In later years, Rafsanjani was the second man after Khamenei. Rafsanjani was one of the supporters of the so-called Cultural Revolution (1980-82) which badly damaged Iran’s higher education system by mixing Islamic ideologies with secular sciences. The professors who opposed Islamization of the university curriculums were entirely purged from the Iranian universities. Consequently, a large number of Iran’s highly qualified professors migrated to the West. Rafsanjani created the Islamic Azad University system, a vast private college education institution in Iran, which is worth about $200 million. The University flooded the country with hundreds of thousands of graduates with university degrees but mediocre education. The government concentrated heavily on Islamic subjects rather than promoting science, engineering, technical and vocational education, which contribute to economic development. Rafsanajani was one of the key designers of Khomeini’s plan for exporting the Islamic revolution and expanding the sphere of Shia Islam. Khomeini appointed him the commander in chief of the Iranian forces during the Iran-Iraq war which lasted from 1980 to 1988. He prolonged the disastrous war in which nearly 1 million Iranians lost their lives. During those years, he established secret friendly relations with the US and Israel and made deals with them for purchasing military vehicles and arms. In 1986, when he was serving as the head of the parliament, he had a key role in Iran–Contra scandal. President Ronald Reagan’s administration believed that Rafsanjani had the power to order Hezbollah to free the American hostages in Lebanon and establishing a relationship with him by selling him arms would lead to placing Iran back within the American sphere of influence. During his presidential terms (1989-1997), corruption was on the rise in Iran and the country’s economy severely deteriorated despite income from its oil exports. Rafsanjani implemented the IMF prescribed Economic Adjustment reforms in Iran. He privatized some of the government enterprises, which led to corruption and had to be stalled. In the early 1990s, he borrowed heavily and increased Iran’s foreign debt to about $30 billion by 1993, which caused Iran to run into financial crisis. That led to the collapse of the Iranian currency rial, whose value has continued to decline, and today it is worth about 0.175% of its prior value versus US dollar in 1979 when the Islamic regime was established. His neoliberal policies were continued later by his successor Mohammad Khatami . Iran had strong economic growth at the rate of about 10% between 1964 and 1977, and its measures of development were far ahead of South Korea at that time. After the 1979 insurrection, the Iranian economy stagnated and in recent years some basic industries were ruined and became bankrupt under President Hassan Rouhani. Rafsanjani governed with Machiavellian style of management and was ruthless in confronting his opponents. Rafsanjani was accused by many of readiness for criminal tactics to deal with dissents and of engaging in corruption to amass his enormous wealth. He was a master of deception and would justify falsifications and terrors to preserve the theocratic regime in Iran. He is blamed for ordering the killing of thousands of Iranian dissidents. Before the establishment of the Islamic regime, he provided the gun that was used by a member of Fada’iyan-e Islam (Devotees of Islam), a group associated with Islamic Brotherhood, to assassinate the then Iran’s Prime Minister Hassan Ali Mansour in 1965. For many years, Rafsanjani collaborated with Khomenei in all criminal activities of the regime. He was blamed to be one of the men behind mass executions of political prisoners in 1988. Amnesty International has confirmed that in the summer of that year alone, more than 2,500 political prisoners were secretly hanged in Iran’s prisons for the reasons of “fighting with God”, not believing in the resurrection day or life after death. These were mostly the members of political organizations: Feda’ian-e Khalg and Mojahedine Khalg which initially had allied with the clerics against the prior regime. During his reign, Rafsanjani along with other leaders of the regime was blamed for ordering assassinations of many Iranian political leaders, activists, intellectuals, and writers who had opposed the regime. As was claimed, he did not even spare the life of Khomeini’s son, Ahmad whom he considered an obstacle to his reign. Ahmad was killed in 1995. Rafsanjani was one of the regime top officials who were accused of ordering a number of terrorist acts and assassinations abroad. The regime’s hit squads assassinated more than 45 Iranian opposition figures in Europe between 1989 and 1996. The assassinations included Shahpour Bakhtiar, the former Prime Minister of Iran; Abdolrahman Boroumand, a prominent lawyer and political activist; Fereydoon Farokhzad, a TV celebrity and poet-singer; and a number of monarchists, Marxists, and other dissidents. Boroumand along with Bakhtiar struggled to promote democracy in Iran. On April 18, 1991, Boroumand was killed by agents of the Islamic Republic. Three month later, on August 6, 1991, Bakhtiar was brutally killed in Paris by three agents of the Iranian government. Another figure was Abdul Rahman Ghassemlou, the leader of the Kurdistan Democratic Party of Iran who was killed in 1989. After Ghassemlou his deputy, Sadegh Sharafkandi succeeded him as secretary of the party. He was too gunned down along with two Kurdish dissidents and an interpreter in September 1992 in Mykonos restaurant in Berlin, Germany. None of these murders in Europe were proven in court except the killings in Mykonos. In 1996, the German court found that Rafsanjani’s Intelligence Minister, Ali Fallahian, had authorized the assassinations. The court said that high authorities of the Islamic government were directly responsible for the Mykonos murders. The case verdict forced the EU member countries to take a tougher stance against the Islamic regime. Names of Rafsanjani, Khamenei, and other officials who ordered the crime were given to Interpol to arrest them if they stepped out of Iran. Nonetheless, assassinations continued inside Iran, and about 80 Iranian writers and political dissidents were systematically murdered (from 1988 to 1998) in the so-called ‘chain murders’. One of those murders that shocked the nation was the gruesome slaughtering of the prominent opposition leader Dariush Forouhar and his wife Parvaneh Eskandari in November 1998. 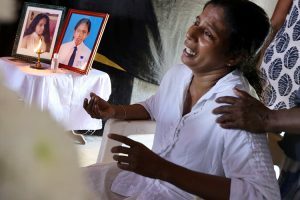 The Islamic government admitted that a group within its own intelligence ministry had carried out those murders. Using his influence in the regime, Rafsanjani was at the pinnacle of corruption in Iran. He amassed enormous wealth by receiving huge bribes himself and through his close relatives from international oil companies for offering and selling lucrative oil and gas deals at the expense of the Iranian people. Rafsanjani and his family members were involved in a number of large financial briberies since the revolution. During 2002/2003, the officials at the Norwegian company Statoil paid Mehdi Rafsanjani more than $15 million bribe to secure lucrative oil contracts. Mehdi also accepted bribes from the French Oil Company Total when the company signed the South Pars gas field contract in 1997. This was revealed in 2007 when Christophe de Margerie, the head of the French oil company Total, was arrested on the charge that his company had bribed Mehdi to obtain lucrative oil contracts. The investigators found that 95 million Swiss Francs ($78 million) went into two accounts in Swedish banks, which belonged to a person acting as the mediator between Total and Mehdi. Rafsanjani and his family’s corruptions can be compared with those of President Muhammad Suharto in Indonesia. His family members dominated lucrative enterprises within the government and in the private sector and were granted state monopolies on many businesses. He possessed Iran’s second biggest airline Mahan Air, Kerman Khodro (Auto), the private Azad University, and a near monopoly on the lucrative Pistachio exports. Other possessions of his family are the vast business interests which include large real estate holdings, construction and oil deals. Rafsanjani’s personal wealth was estimated more than $1billion by Paul Klebnikov in an article in Forbes magazine in 2003. The author was assassinated a year later by a paid killer in Moscow, Russia. Since then, the wealth of Rafsanjani and his family has grown substantially higher at the expense of the Iranian people. This man who named himself “servant of the poor” became one of the wealthiest mullahs in Iran. Today, the impoverished Iranians resent the affluence of Rafsanjani’s family and his gangs of cronies who accumulated wealth by their corrupt conducts. However, corruption in Iran is not limited to Rafsanjani’s family; other clerics in the regime and their family members as well as many other officials are also widely engaged in bribery and kickback. In later years, Rafsanjani expanded his sphere of influence abroad by bribing lobbyists outside Iran to promote his connections with the West. He was the key man of Washington and London inside the Islamic regime. He tried to maintain friendly relations with the Anglo-American client states in the Persian Gulf region and sided with Saudi’s policies regarding Syria. In recent years, he was often supported by the Persian language Voice of America and the BBC to promote the interests of the West by his wing of cronies in Iran. His daughters Fatemeh and Faezeh acted as go-between to promote his relations with the West. Faezeh came to Washington in 2013, with a special message from his father to promote Hassan Rouhani, who became Iran’s president with the aid of Rafsanjani and put many of Rafsanjani’s supporters into his cabinet. Rafsanjani’s protégé Hassan Rouhani plus a large network of lobbyists, which included the National Iranian American Council and American Iranian Council, collaborated with the Obama’s administration to seal the nuclear deal in 2015, which destroyed the main parts of Iran’s nuclear infrastructure. On the whole, Rafsanjani was a master manipulator and deceived the Iranian people in search of democracy. By using his style of deception, he prolonged the life of the clerical regime. Now with the sudden death of this cleric who was at the pinnacle of corruption in Iran and a godfather of many political mercenaries inside and outside Iran, the power struggle and conflicts within the regime will likely escalate in the months to come. It is essential for the Iranian people and those who aspire for democracy and freedom in Iran to join hands to consolidate power to free their country from theocracy and corruption. The political graph of rafsanjani is laced with criminal offences, corruption and persecution of dissidents. But, he was an important political figure in the crucial years of Iran . The Islamic revolution left Iran destroyed on all fronts and he tried to reform the Orthodox religious dominated politics. He , therefore, incurred the wrath of clerics who become hostile to him and even might had hand in killing him .. This is a good article by a thorough and objective author. Rafsanjani was a corrupt and criminal cleric who helped to prolong the life of the theocratic regime in Iran at any cost. The cause of his death is not clear. However, it seems the present regime in Iran maybe coming to its end.